LandlordSOS – Are You Coming? Today I have put my event organiser hat on! So what’s the idea? Well for the past couple of years I have been running ad hoc property meets where I get a bunch of landlords and property investors together – normally down the pub and I get a speaker who can teach us a thing or two about property.I don’t charge for the events and I don’t have a sales pitch. It literally is a bunch of like-minded property people who want to make the most of the business they’re in. I love chatting, meeting new people and hearing new ideas. For me, these meetings are about opportunities – being a landlord can be a lonely business – and it’s great to have the chance to chat with others in similar situations – you never know what can come of a conversation! 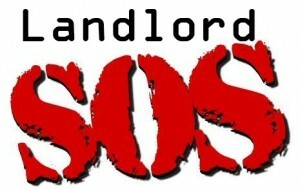 LandlordSOS started as a germ of an idea a few months ago and now we seem to be steam rolling! So our little property meet which used to be a group of 30 odd people down the pub has now grown to a “proper” event. We’ve got a “proper” schedule with “proper” speakers from the NLA, the council and LloydsTSB covering key topics such as housing benefit, HMOs and raising finance. 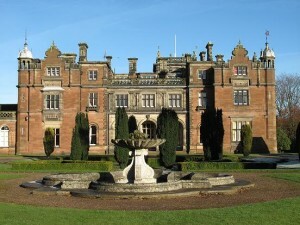 We’ve got a “proper” place to meet – a stately home. And now – we’ve even got our own bar! On top of this we’ve also got a selection of property related businesses on hand to offer advice and assistance. From solicitors to damp experts, accountants, grant advice, empty homes opportunities, landlord referencing services, letting agents, landlord associations, cleaners, insurance people and builders – we’ve got a good range! And I like to think we have got something for everyone – be they a novice or professional in property. With the high calibre of speakers and the businesses on hand I’d be gutted if people didn’t go away learning something new. So now is the time when I need to start sending out my invites – to tell people about our property event. I would like to cordially invite you to our FREE LandlordSOS event. Anybody and everybody with an interest in property is welcome. I would love to see you there – seriously the more the merrier! Fancy A Place By The Sea? How About Your Own Beach! Are You Being Overcharged For Your Mortgage? Booked my tickets and booked the accommodation – well done for organising this Sam, it looks like a terrific line-up of speakers and I’ve heard on the grapevine of some interesting guests travelling from afar too! great to catchup with the ‘Gorgeous girls’ at this evenings great event. will be in touch next time i need an agent.